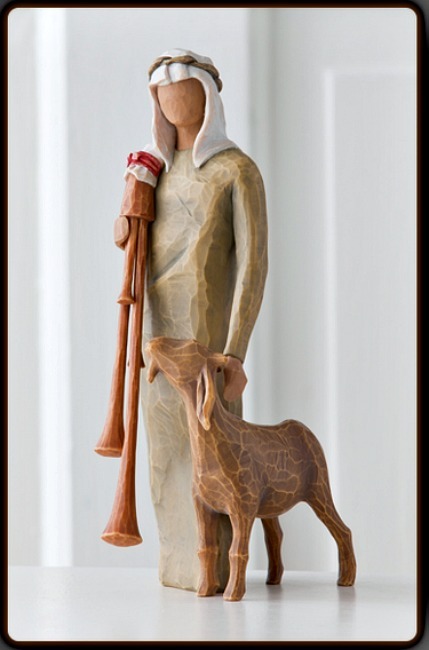 Zampognaro (Shepherd with Bagpipe) from WILLOW TREE by Susan Lordi. Sentiment: "A shepherd's gift... a joyous melody... proclaiming he news!" 9" H.� Made of Resin.